The GHS 3025 Precision Bass Guitar Strings .045-.095 is a set of 4-string bass guitar strings, that are flatwound, from a stainless steel construction, with a short scale, and light gauge, .045-.060-.075-.095. 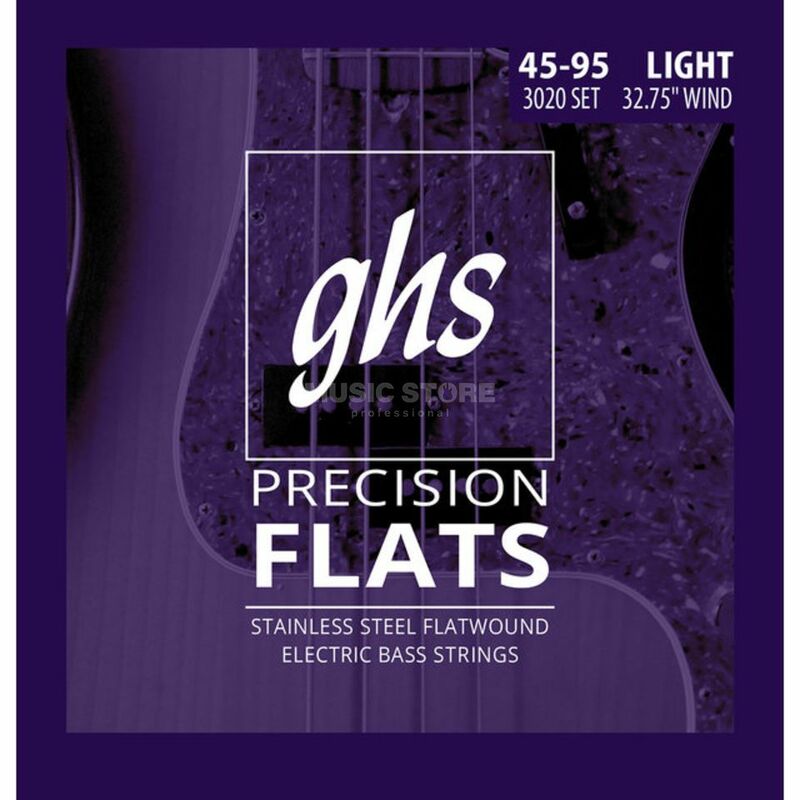 GHS Precision Flats Bass Strings deliver traditional deep percussive tone due to a unique cross-winding process. They are made with a highly magnetic stainless steel flat wrap for greater volume, longer durability and a smooth satin finish.